The life of Nelson Mandela provides us with a powerful legacy – and some profound lessons for human resource (HR) professionals, says Marius Meyer, CEO of the SA Board for People Practices (SABPP). On 5 December 2013 South Africa and the world have lost one of the greatest leaders of mankind, Nelson Mandela. It is now one year later, and the question is whether the world is a better place today. We mourned his passing, but we continue to celebrate his legacy as we are reminded of his legacy today. Throughout South Africa and the rest of the world, people will honour his legacy by doing good deeds for their fellow human beings. Recognised globally as an icon, no other South African has had more impact on so many people throughout the world than Nelson Mandela. He is the best example of true moral leadership in the most difficult of times. We have much to thank Tata Madiba for one of the most successful political transitions the world has ever seen. His biggest achievement was the eradication of apartheid, thereby helping the country to turn around from an oppressive regime to a fully-fledged modern democracy. 1. Humanity: Nelson Mandela epitomises what humanity is all about – the continuous pursuit of what humanity stands for – a world where human dignity is respected and valued. As HR professionals we are champions for humanity in the workplace. Mandela reminded us: “Our definition of the freedom of the individual must be instructed by the fundamental objective to restore the human dignity of each and every South African. 2. Diversity: No other leader taught us more about diversity than Nelson Mandela, his whole life was about creating and building respect for diversity, not only at a political level, but also in all spheres of society, including the workplace. The biggest irony of Mandela’s legacy is that while he achieved freedom for blacks, he also realised freedom for whites – freeing them too from apartheid and the belief of white supremacy that dominated South Africa for many decades. He also warned against tribalism and xenophobia, two challenges that still need to be addressed in South Africa. HR professionals play a fundamental role to create diverse workplaces, and more focussed work still needs to be done to attain true inclusive workplaces. 3. Accountability: Mandela was a strong believer in accountability in both the private and public sector. In particular, leaders should be held accountable. He said: “If you want to take an action and you are convinced that this is a correct action, you do so and confront that situation.” HR professionals should be much stronger in striving towards accepting accountability for their work, and not blame line managers and other stakeholders when things go wrong. 4. Adaptability: Mandela’s life is a wonderful example of adaptability. As he asserted: “Human beings have got the ability to adjust to anything.” He learned that throughout his life, and ultimately adapted from revolutionary to prisoner to politician to president. HR professionals should adapt to changing circumstances, and as business partners ensure that HR strategy and services are continuously adapted to the needs of organisations and the realities of the changing environment. 5. 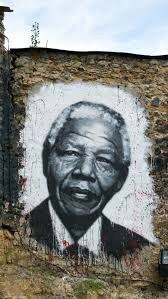 Change: Mandela said that while it is difficult to change society, it is even more difficult to change yourself. While sticking to our values and principles as HR professionals, we need to build, develop and change ourselves every day if we want to become better at what we do. 6. Conflict: The greatest part of Mandela’s life was about dealing with conflict. He learned and grown as an individual through these tough experiences, and was prepared to die for his convictions. Mandela expressed his view on conflict as follows: “One of the most important lessons I learnt in my life of struggle for freedom and peace is that in any conflict there comes a point when neither side can claim to be right and the other wrong, no matter how much that might have been the case at the start of a conflict.” HR and Employment Relations professionals specifically are facilitators of conflict resolution in the workplace, and their skills in dealing with conflict situations are of paramount importance. 7. Integrity: In a country still plagued by fraud and corruption, Mandela’s example reminds us of the importance of integrity. He valued integrity throughout his life. Referring to corruption, he labelled South Africa as a “sick society.” HR professionals should be people of integrity and build ethical organisation cultures to create more ethical organisations and ultimately an ethical society. 8. Relationships: Life is about relationships at the individual and collective level. As a strong supporter of worker rights, be believed in good relationships between employers and employees. Likewise, he established good relationships with the business community. HR managers are key builders of relationships in the workplace and broader society. 9. Opportunity: Mandela said: “You pass through this world once and opportunities you miss will never be available to you again.” Every day HR professionals are faced with many opportunities of making a difference, we must seize these chances of having impact. 10. 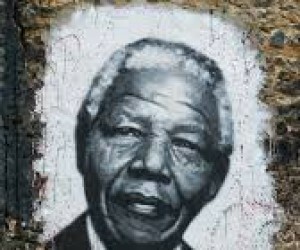 Leadership: Mandela’s greatest legacy was his leadership during moments of suffering and opportunity. He excelled as a leader in the most challenging times. As HR professionals we have to show greater leadership in leading our HR functions and coaching managers in people skills. In conclusion, the life and legacy of Nelson Mandela offers HR professionals with ample opportunities to live his legacy on a daily basis. Inequality and skills gaps can not be perpetuated. A few years back Mandela made this statement: “The future of South African businesses will be evaluated largely on its human resources development.” Skills development is at the centre of human resource management, and as a community of professionals it is our duty to society to rise to the occasion in developing the people of South Africa. Likewise, Mandela labelled affirmative action “corrective action,” and twenty years after the birth of our democracy, we are still haunted by the reality of apartheid’s inequalities. Thus, HR professionals could play a key role in addressing the two national challenges of poor people development and inequality, given the fact that these two issues go hand in hand. Therefore, rectifying these gaps is not only key to sound people management, but also an imperative for nation-building and stability. The SA Board for People Practices is the HR quality assurance and professional body in South Africa, and endorser of Achiever magazine. SABPP staff and learning providers recently honoured Mandela’s legacy with its annual HRD Awards event at Regenesys Business School in Sandton. SABPP Gauteng Committee and staff members mourned the passing of Nelson Mandela last year. In the back row from left are Sithembele Stofile, Frans Barnard, Kenneth Nxumaloa and Lebo Mbuli. In the front are Sarie Pretorius, Cabangile Sithole, Belia Nel, Kate Dikgale-Freeman, Kathleen Beckett, Bongi Ndaba and Tshwarelo Mothopeng.